Janos Acs was born in Hungary. He was born to a very musical family and was the youngest of four children. His brother also was the well known hungarian pianist as a child. His father was a music teacher and saw János Ács' talent and his outstanding sense for the details of classical music. He started studying piano and flute with his father as a small child until he entered the conservatory of Budapest and graduated from it at eighteen. Not only his remarkable talent was honored, but his wide ranging musical passion. While still young he developed a great affinity to the italian operas and in summer 1974 he went to Italy and acquired the italian nationality. He became a rehearsal pianist for operas in big italian theaters like the "Teatro alla Scala" in Milano, "La Fenice" in Venice and the "Teatro Comunale" in Florence. He was led by great conductors like Carlo-Maria Giulini, Giuseppe Patane and Claudio Abbado, for years he was the "conductor assistant" of Peter Maag. Janos Acs conducted in many of the country's opera houses and his extraordinary career began. His success in Italian Operas led to further apperiances and to his appointment as a music director of the city theater in Pretoria, South Africa. The next seven years he was the principal conductor of the Opera Colorado in Denver, USA. Back in italy in 1991 János Ács met Luciano Pavarotti and became his collaborator and conducted many of his world tour concerts in four continents. János Ács was known by Luciano Pavarotti for his sense to "complete the work of art" He always gave maximum attention to solo voices, orchestra and chorus and together with the artists he made concerts like "Pavarotti a Valencia, Under chitzen -ITZA's piramide in Mexico, Luciano Pavarotti e Roberto Carlos in Concert, Brasil, Pavarotti a Budapest, Finnland and Bilbao, Las Vegas, Hong Kong, Lyon, Hannover and "Recital di Luciano Pavarotti in Spoleto" memorable. Not for nothing they were all registered for the television. From 1994 he was the artistic director of Salerno´s Municipal Teatro in Italy. 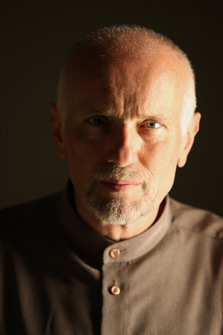 The zeniths of his career went on in 1996 János Ács had the debut of the world premier of Franz Liszt's "De Profundis" together with his brother, the pianist in Milans Guiseppe Verdi Conservatory. 1998 he accompanied Aretha Franklin at the Grammy Awards in New York with the orchestra and chorus of the Metropolitan Opera Houses. In december 2000 he celebrated an event with the Three Tenors as a conductor in Chicago's Unite Centre, with an auditorium of 60.000 people. Concerts in Bejing and Hong-Kong followed in summer 2001, he also was their conductor in Japan, Korea and Mexico until he was the one and only conducting them in their historic last Three Tenors concert in Bath, England. János Ács is one of the greatest conductors of the 20th century lasting into the 21th Besides his famous Performances, he has been a recital pianist and teacher for Katia Ricciarelli, Samuel Ramey, Mariella Devia, Ruggiero Raimondi and Nicola Martinucci. In addition to his special carrer he holds masterclasses on italian opera with singers like Mirella Freni, Eva Marton, Gianni Raimondi and many more. He is a former teacher at the Verona's Conservatorio di Musica and a professor at the Musashino Academy of Tokyo. He is often invited as a member of the international Jury for singing competitions, associated with Giuseppe di Stefano, Franco Corelli, Joan Sutherland, Guiseppe Taddei, Giulietta Simionato and Peter Glossop. His last CD was " Millenium", edited by Hungaroton, feat. works by Járdányi Pál.